Limo Jobs in Houston: We’re Hiring Now! 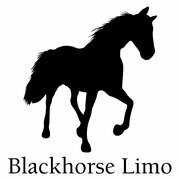 Black Horse Limo in Cypress, TX is looking for motivated limo drivers in Houston that believe customer service is paramount to success. Our drivers enjoy competitive pay in a rewarding career that is centered on making special moments memorable and enjoyable. Blackhorse Limo is seeking qualified full/part time Professional Chauffeurs who meet the following criteria. TX driver License w Reliable transportation knowledge of regulations. Be familiar with the City of Houston & surrounding areas. Excellent Time Management Skills & Communication Skills. License & badged by the City of Houston and Houston Airport Systems is a plus! Transport customers to and from airport, locally, regionally, and on special occasions. Prepares vehicle by conducting operator maintenance; cleaning interior and exterior; arranging for maintenance; reporting operating problems. Plans route and requirements by studying schedule or special request; determining occupant and luggage requirements; checking road conditions; estimating travel times; arranging temporary and long-term parking. Be polite, friendly, yet professional, tactful and discreet.